When First Solar (s FSLR) CEO Rob Gillette told investors last week that the “market started off really slow in 2011,” it was an early indicator of more troubling news to come for solar companies this quarter. Several major players, from Trina Solar (s TSL) to Yingli Green Energy (s YGE), all have since announced lower-than-expected solar panel shipment and sales, and investors could likely hear a similar sentiment when SunPower (s SPWRA) discusses its earnings Thursday. One thing to blame is Italy, which struggled for months to revise its solar subsidies in order to curb an explosive growth in solar project installations in recent years and lessen the burden on consumers who pay for those incentives through their electric bills. It was only last Thursday when the Italian government finally approved a new set of solar electricity rates — which are still higher than rates for electricity from fossil fuels – that utilities must pay. 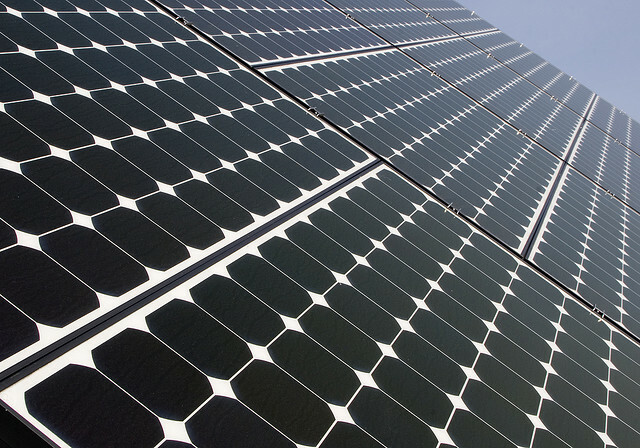 The new incentives, to start in June, could cut solar spending by up to 33 percent in 2011 and 2012. Shares of First Solar, SunPower, Trina and Yingli all have been falling anywhere from as little as one percent to around three percent in recent trading. SunPower has devoted a lot of resources to developing the Italian market, including spending $277 million on acquiring Malta-based project developer SunRay that focused heavily on Italy, and completing 85 MW of projects in the country in 2010. SunPower also bought an Italian solar distributor, Solar Solutions, back in 2008. Italy was SunPower’s largest market in 2010, accounting for about 40 percent of its revenue, according to its annual report. The U.S. followed with 29 percent of revenue and Germany with 11 percent. Italy hasn’t been alone in implementing a significant cutback of subsidies. Germany and France also have the same type of solar electricity pricing program, and they, too, have scaled back its financial aid this year to control growth. Manufacturers and project developers had known for months that cuts would take place, and some reduced shipment because they figured their customers would wait for new policies to materialize in order to adjust their own business plans. Distributors nevertheless have built up a stockpile of solar panels, said IMS Research’s solar analyst, Sam Wilkinson. Solar panel shipment fell nearly 10 percent from the fourth quarter of 2010 to first quarter 2011, the first time a decline took place since the start of 2009, Wilkinson said. Solar panel inventory, meanwhile, has ballooned to over 10 GW, prompting distributors to cut prices to try to get rid of them, he added. Solar companies still hope 2011 will be a good year, now that the major European markets have settled on their incentive policies for this year and next. Some companies have stuck to their sales forecast despite a slow start in 2011. First Solar posted flat first-quarter sales and lower net income, but Gillette re-affirmed a previously issued sales forecast of $3.7-$3.8 billion in sales and earnings of $9.25-$9.75 per share for 2011. Trina Solar, too, held on to its 2011 forecast even though it announced a lower shipment number for the first quarter on Tuesday. The Chinese company said its first-quarter shipment likely fell between 320 MW and 322 MW. Previously, it had anticipated the shipment to be “slightly higher” than the roughly 351 MW it rolled out of factories in the fourth quarter of 2010. For 2011, the company still expects to churn out between 1.75 GW and 1.80 GW of panels, and that would be a 65.6-percent to 70.3-percent boost from 2010. Trina plans to discuss its first-quarter earnings on May 17. Chinese and American firms aren’t the only ones to have suffered. European companies, such as German project developer Phoenix Solar, also reported lower sales and earnings this week.